In Dubai, most expat families have two working parents - sometimes by necessity, and sometimes by choice. Either way, this means that parents have the additional responsibility of seeking safe and trustworthy care for their children. Most parents choose to employ a full-time nanny, so at least their kids can stay in the comfort of their home instead of traveling to and from a daycare. Another challenge working parents face is finding adequate quality time with their kids. From school projects to household chores, there's limited time that they can spend together on working days. The operative word here is quality time. 1. Have a screen-free family activity: Whether it's going swimming or playing a board game, try to do a fun activity together as a family. It's great for bonding, and being screen-free will really open up conversations. 2. Eat at least one meal together: It can be hard to sit down for meals together because of schedules, but try to make an effort to have at least one meal together, especially breakfast or dinner. It will help family members catch up with each other. 3. Stay in touch throughout the day: Use technology to your advantage. Depending to the age of your kids, you can call them or text them. It's good to touch base a couple of times a day. 4. 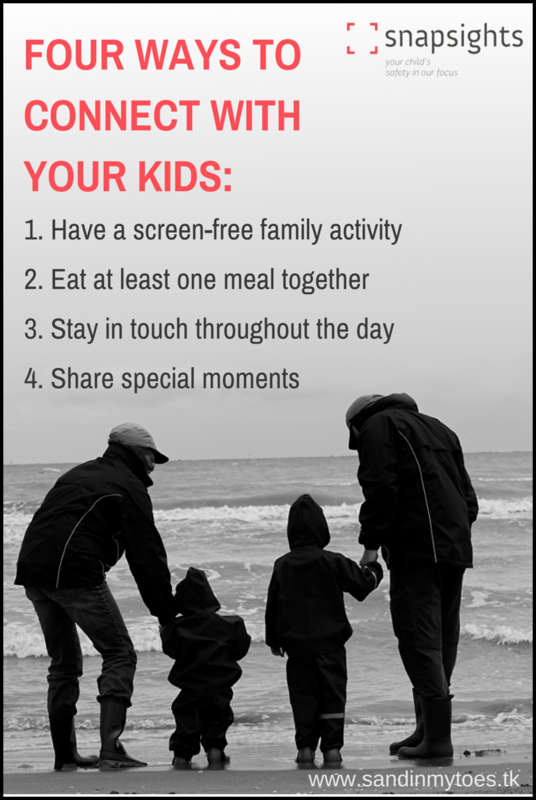 Share special moments: You can ask your kids to send you photos of what they are doing (with the help of the caretaker, if needed), so you don't miss out as much. If you have a younger child, you can have your nanny send you photos or hear their voice on the phone. Another wonderful way of staying in touch, and sharing special moments is being able to monitor and connect with your kids in real time. A UAE-based company which provides this technology and more services is SnapSights. Usually, live cameras are associated with celebrities and business tycoons, who have a team monitoring their home and assets. But SnapSights makes this technology accessible to everyone to help keep your family safe and sound, and you don't have to worry about a thing except calling them! It's very simple actually: SnapSights provides a free consultation with each family to understand your requirements.Then, they set up the monitoring equipment and install the cameras under your supervision. And with your go ahead, their all-female monitoring team works to ensure your precious ones are doing okay. In fact, they even send out alerts to your phone and email if your child needs attention or is in some danger. SnapSights is certified by Dubai Police so they can instantly alert them if required to. Clearly, SnapSights pays a lot of attention to the worries that most working parents have, and can even customize alerts to the things you want to be warned about, such as your child entering the kitchen, which isn't safe for them. Unexplained crying will also lead to an alert, so you can immediately call home to inquire. And it doesn't just end there. The company also realizes that working parents don't just want safety alerts. They want to be in touch as much as they can with their kids. This means getting to know what their special moments through the day were, or what milestones they achieved. And here's what they do about it: they create and compile a video called Happy Moments and email it to you at the end of the week! I think that's really thoughtful of them, and I'm sure parents really look forward to seeing them. Here's a sampler of a Happy Moments video from one of SnapSights' clients. It's just adorable! The vision for SnapSights was the brainchild of Basak Sen Sasal, Co-Founder and Managing Director. I spoke to her and she talked about her experiences as a child of a working mother. While she was well cared for, her mother always regretted missing out on her milestones.Naturally, she understands the importance of reconnecting working parents with their children through Happy Moments CDs. And it is being appreciated. "We get calls from moms with tears in their eyes, telling us how wonderful they felt about being able to see these videos. In one instance, a mom was pleasantly surprised to find out that their nanny was playing the guitar to their child!," says Basak. While the premise for SnapSights is that you can't always trust what's happening in your home behind your back, I like how it also focuses on the positive things by recording and sharing the special moments. 2. 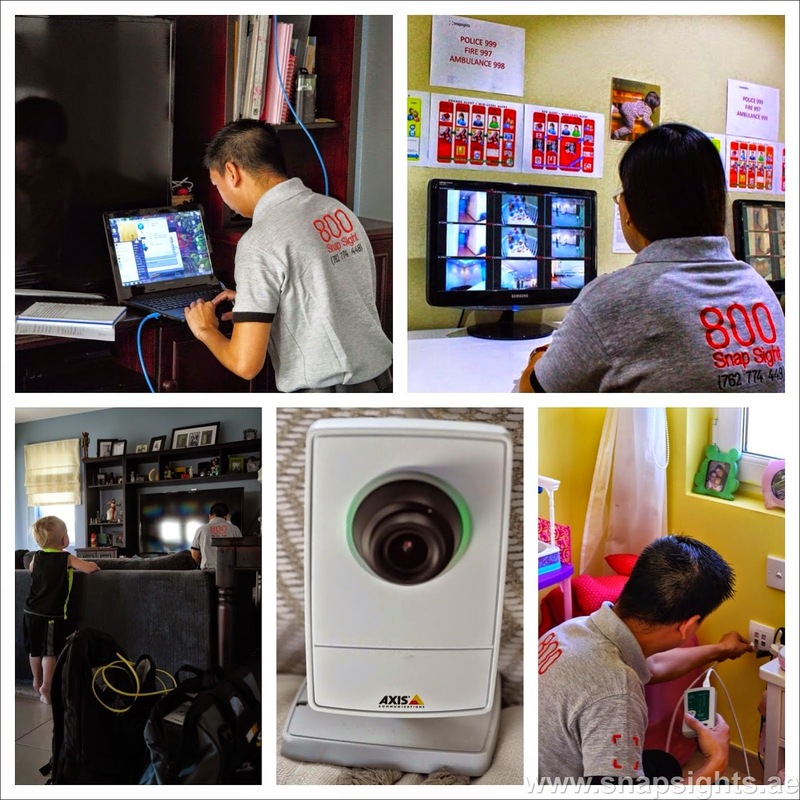 Free cameras upon signing and for the duration of the monitoring service contract. 3. Parents can actively converse with their children through the cameras, and so can grandparents. So, this is a great way to reach out to them when you're not with them. 4. Privacy is not an issue, as you have control over the cameras. Also, the monitoring team has no information about your personal details. 5. The Happy Moments video is a lovely recap of all that you missed your kids doing during the week. 6. You get instant alerts (yellow, orange or red) based on importance of attention required. You can work with them to customize these alerts. If this is the kind of service you think could benefit your family, call up SnapSights for a free consultation on 800-SNAPSIGHT (800-762 774 448) or 04 -520670 or email on [email protected] Check out the Snapsights website for further details, and a live demo. SnapSights also offers installation services if you would like to monitor the camera feeds by yourself through your smart phone, tablet or computer. Followed by their free consultation, they offer a one-off turn-key installation service that includes the configuration of all your devices. SnapSights’ monitoring subscription packages start from AED 800 per month which can easily be tailored to your requirements and their cameras start from AED 570 which comes with audio/microphone function. This post is brought to you by SnapSights, but all views and opinions are my own. This is such a cool concept! I love how it enables you to connect with your kids even when you're away from them for most of the day.